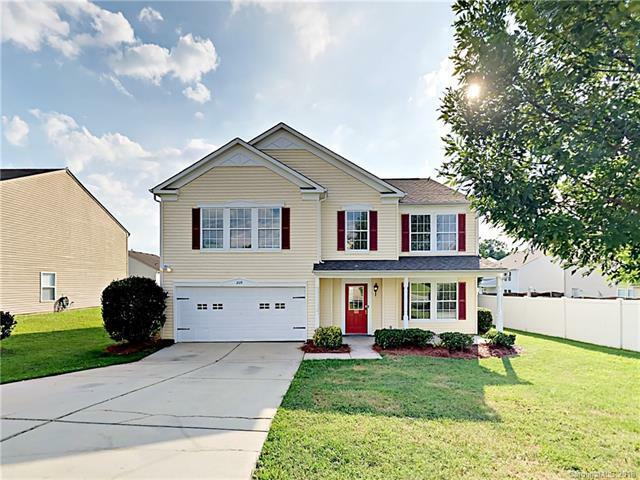 Beautiful, move in ready home! 4BR/2.5BA with laminate wood flooring in common living areas. Kitchen boasts white cabinets, granite counter tops, new sink/faucet, and NEW stainless steel appliances. Formal dining off kitchen. Half bath located downstairs. Upstairs features den, and all bedrooms. All carpeting has been replaced. Master is spacious and includes private, en suite bathroom with garden tub, and walk in shower. Additional bedrooms are ample in size. Patio slab in backyard overlooks wooded area.